India’s Environment Minister Jairam Ramesh said that owls in the country are being taken from the wild by Harry Potter fans who want to keep the birds as pets. It’s unclear what evidence Ramesh has to back up his claim, but he said that the decline of owls in the wild coincided with the increased popularity of Harry Potter in India. He also said that urban middle classes families were, in part, responsible because they were capturing owls to give as pets to their children who like Harry Potter. Meanwhile, the wildlife group Traffic reported that wild owls in India are being illegally trapped and traded to be used for black magic rituals and other purposes. 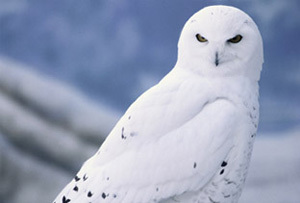 In the Harry Potter film and book series, the boy wizard has a snowy owl named Hedwig who is his faithful companion. We love a good Shatner story, and today we have a few to share with you. 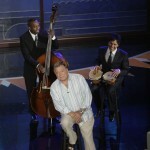 Earlier this week, William Shatner made an appearance on The Tonight Show, where he recited Gov. Sarah Palin’s resignation speech as poetry. Palin had promised her supporters that she’d keep in touch via Twitter and she most certainly has been doing so. So, Shatner went on The Tonight Show again last night to recite her most interesting tweets. You can watch both video segments here below. In other Shatner news, the Star Trek vet put the pressure on Hewlett-Packard this week, leaving a company-wide voicemail message for staff of the computer giant.